The Stallings Island Trip is a fan favorite with CWT customers! This very intriguing and history rich route leads you first through a chain of islands referred to as “99 Islands”. Some of the islands are very close together which gives paddlers the feeling of paddling small creeks. This secluded route leads you to the banks of the legendary, Stallings Island. Stallings Island is home to many shell mounds and was identified as an archaeological site in 1861. The “People of Stallings” roamed this area thousands of years ago. Archeologists concluded that the island was an apparent gathering spot for scattered groups of Indians who eventually called the area their home. The people lived, communicated, grew crops, and eventually died on this island. 84 burial sites alone were found in the 1929 expedition by the Harvard University’s Peabody Museum. The island is now maintained by the Archeological Conservancy and is a National Landmark. Stallings is also the home to many wild goats and donkeys that were placed on the island to keep the vegetation down. 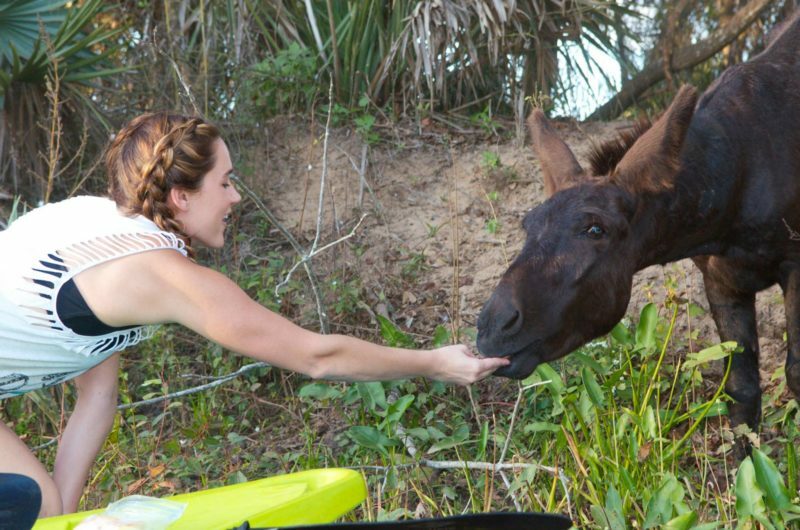 We are not allowed on the island but may feed and pet the animals from our kayaks. Lastly, we proceed to the Stevens Creek Dam and a look at Whale Rock for a great photo-op! This trip has a sometimes steady current so it’s best to have a little expierence paddling. WE ONLY OFFER GUIDED TOURS ON THIS ROUTE DUE TO THE CURRENT. This trim takes approximately 2 hours and does not require a shuttle.